This is a cute, fun, Board Book in the Ladybird touch-and-feel series. 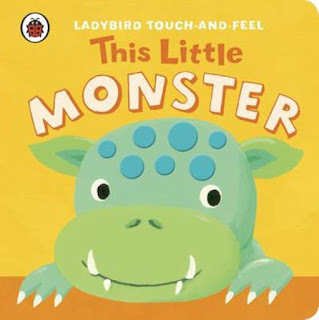 The simple rhyming text introduces us to a new cheeky, smiling monster on each page, each with a different touch-and-feel section to discover. It encourages little listeners to interact with the different textures and gives each monster a simple name so we get to know them. Kids will love touching Fizz’s bumpy feet, Bosh’s squishy nose and Puff’s fluffy tummy as they explore the book with their fingers and ears. I love sensory books for toddlers. Interacting with a book through touch really helps them get involved and stay focused enough to follow the action on each page. The illustrations are bright and bold, with simple lines and strong primary colours that are perfect for toddlers. The focal point of each monster is the lovely textured section, which is nice and big for little fingers to explore. 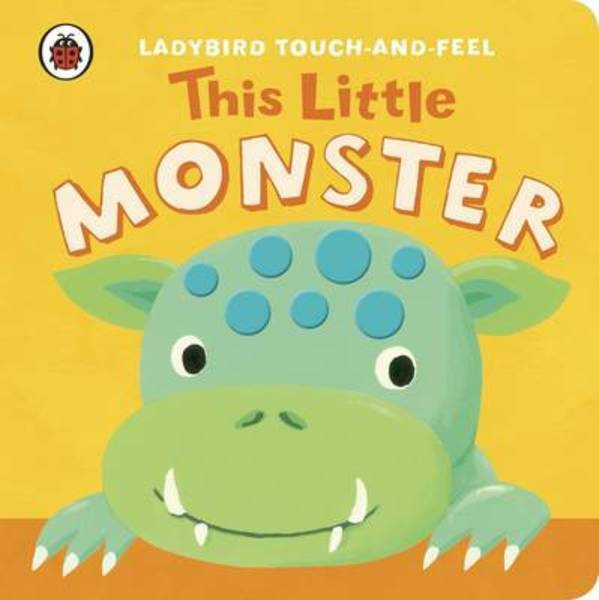 Little ones will enjoy engaging with these fun little monsters and expanding their vocabulary as they start to associate textures with words. Can your pre-schooler come up with a name for the last monster? They’ll certainly have fun trying as they shout out lots of silly ideas! If they’re clever they might also be able to spot the little ladybird hiding on each page!